In the past quarter, we dealt primarily with the redevelopment of our software. In the 2nd quarter, BAHN-BKK will become the 12th B2B customer to use ePortrait. 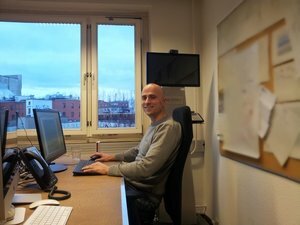 Moreover, we have a new employee: Matthias Klinowski will expand the area of customer service and support Frank in project management. In total, Bahn-BKK has approximately 680,000 customers, and the company decided to use our new customers module. Due to Bahn-BKK, the reach of our B2B application will increase to over seven million insurance customers. Bahn-BKK is our first customer that uses the new version of the application. This version is more flexible and makes entirely new usage scenarios possible. It also enables us to run many applications more efficiently and improves the usability, e.g., by not using cookies and making it possible to use the booth without the Flash player as well. Since 15 February 2014, Matthias Klinowski has been part of our team. He will be responsible for the area of customer care and support Frank in project management. He joined us because of a recommendation and has been thrilled by the product and the vision of ePortrait from the beginning. Before joining ePortrait, he was a project manager at reBuy recommerce GmbH and helped the company improve in the areas of business development and product management. He received a degree in sociology and political science from Humboldt-Universität Berlin in 2008. However, he became interested in processes within organizations and projects during his studies. "My professional focus has been on project management for a long time, and I have already supervised numerous projects. Thus, I am able to contribute quite some experience and my systematic and structured way of working to project management and product development at ePortrait. 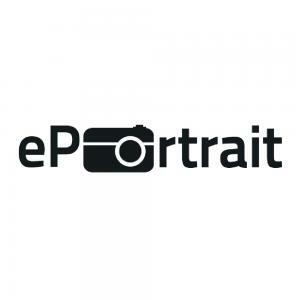 Although ePortrait is already very professional in these areas, I certainly hope to play my part in the company." He thoroughly enjoys watching products develop. "Consequently, I go to work not just to support my family and myself, but also to ensure the success of ePortrait. Is there anything greater than celebrating milestone after milestone within a team?" On 09 April, we moved into our new office in Marienstraße. In order to better meet the requirements of health insurance companies, the core of ePortrait, our IT, is now located behind a multi-stage security checkpoint. We are looking forward to the next three quarters, the further development of ePortrait, and the migration of our customers to the new application. Thank you!